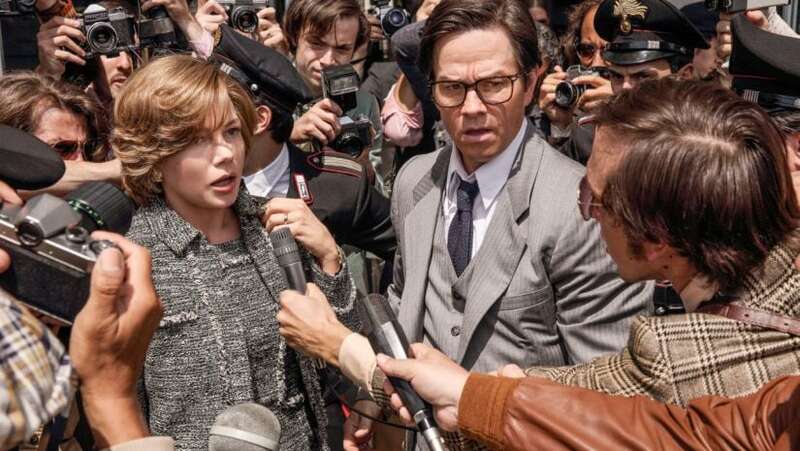 Actor Michelle Williams, who earned a Golden Globe nomination for her role in All the Money in the World, reportedly earned 1,500 times less than her co-star Mark Wahlberg for the film's reshoots. The story about the massive pay disparity has gone viral on social media with many celebrities criticising director Ridley Scott and others. A new report, originally published by The Washington Post, and later by the USA Today, claims Wahlberg earned $1.5 million, while Williams made less than $1,000. Celebrities such as Jessica Chastain, Mia Farrow and Judd Apatow have slammed the "unacceptable" pay gap. Apatow hoped Wahlberg and the studio do something to rectify the situation. Wahlberg soared to the top of the world’s highest paid actors on an annual Forbes magazine list that highlighted a huge disparity between male and female Hollywood stars. Wahlberg earned an estimated $68 million in 2017 thanks to his pay days for movies Daddy’s Home 2 and Transformers: The Last Knight, according to the Forbes ranking. The magazine had named La La Land Oscar winner Emma Stone as the world’s highest paid actress with an estimated 2017 take of $26 million. Forbes said the 10 highest-paid leading men earned a combined $488.5 million before tax in its June 2016-June 2017 scoring period, nearly three times more than the $172.5 million earned by the top 10 scoring women. Let's take a look at other instances when Hollywood was rocked by similar gender pay gap rows. The 2014 Sony hack also revealed that actress Jennifer Lawrence was paid less than her male co-stars Christian Bale and Bradley Cooper in the 2013 black comedy American Hustle. 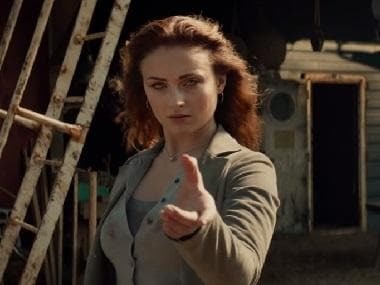 They showed that Bale and Cooper earned nine percent of the film’s total profits, while Lawrence was only paid seven percent. Lawrence later said she was “mad at herself” after learning about the pay gap because she had “failed as a negotiator”. The Oscar winner wrote about her experience with male-female pay discrimination in Hollywood in an open letter in actress Lena Dunham’s Lenny newsletter. Amy Adams revealed in a 2016 interview with GQ that she went into the American Hustle shoot knowing she was being paid less than her male co-stars. "The truth is we hire people to negotiate on our behalf, men and women… I knew I was being paid less and I still agreed to do it because the option comes down to do it or don't do it. So you just have to decide if it's worth it for you. It doesn't mean I liked it." Calling the wage gap "painful," Gwyneth Paltrow spoke about the disparity between her salary and that of her Iron Man co-star Robert Downey Jr in a 2015 interview with Variety. While Downey Jr was the highest-paid actor in 2015 earning $80 million, Paltrow made a relatively paltry $9 million. Despite being the star of the Nancy Meyers rom-com Something's Gotta Give (2013), Diane Keaton was paid a lot less than Jack Nicholson, who had a lot smaller role. She documented the details in her memoir, Then Again. When Nicholson heard about it, he wrote Keaton a cheque from his own earnings. After the Sony hack revealed Chris Hemsworth was getting paid more for his role in the The Huntsman: Winter’s War than costar Charlize Theron, the actress renegotiated her contract and added a reported $10 million to her salary. Theron said she was outraged when leaked Sony emails showed a gap in what male and female actors were paid for the film American Hustle and she insisted on being paid on par with co-star Hemsworth. She has since called on other women to take a stand when it comes to equal pay. 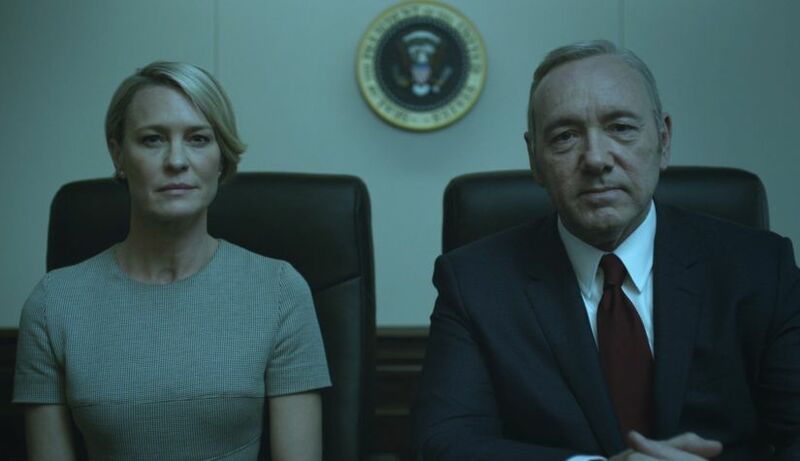 Despite having equal billing in Netflix's House of Cards, Robin Wright was initially paid a lot less than Kevin Spacey. So, channeling her inner Claire Underwood, she demanded Netflix pay her the same salary as her male co-star. During an event at the Rockefeller Foundation in New York on Tuesday, Wright told the president Judith Rodin, "I was looking at statistics and Claire Underwood's character was more popular than [Frank's] for a period of time. So I capitalised on that moment. I was like, 'You better pay me or I’m going to go public.' And they did.” Similarly, Emmy Rossum took a cue from Wright and was successful in her demand for equal compensation as her fellow Shameless star, William H Macy. When Fox revived X-Files in 2016, they offered Gillian Anderson half of what David Duchovny was receiving. This was something she had experienced even while working on the original series in the '90s — when she was reportedly even compelled to stand a few feet behind him on camera rather than side-by-side. Anderson, though, managed to fight for equal compensation. "Especially in this climate of women talking about the reality of [unequal pay] in this business, I think it’s important that it gets heard and voiced," Anderson told The Daily Beast in an interview. "It was shocking to me, given all the work that I had done in the past, to get us to be paid fairly. I worked really hard toward that and finally got somewhere with it." After discovering how much Dave Chappelle and Chris Rock were being paid for their Netflix standup specials, Amy Schumer renegotiated her salary, demanding a pay hike. According to a Variety report, while the male comedians were paid $20 million for their specials, Schumer had initially been paid $11 million for her The Leather Special taping.